Just to put this out there - I am not a skin specialist. What I will share with you is based on my own experience and what I have found effective for my skin. A little background: I have dry (to normal) and sensitive skin. Certainly, Micellar Water had all of us intrigued at first. 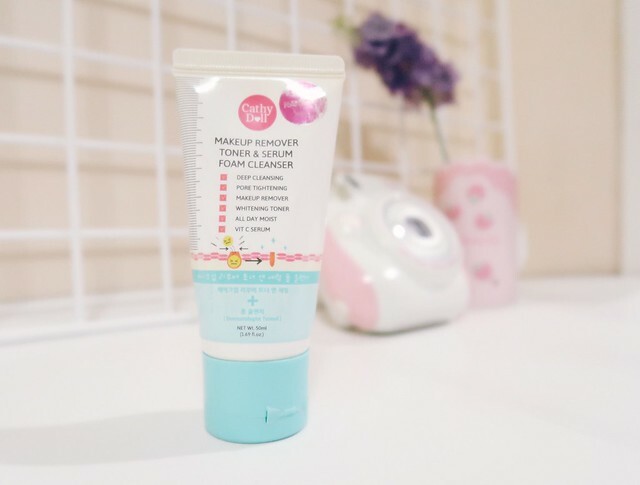 It revolutionized the way of removing makeup without the use of oil-based products. 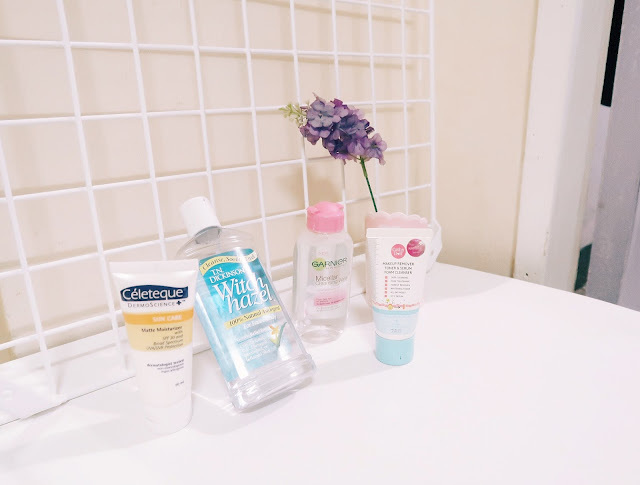 What made me choose Garnier out of the dozen brands is Project Vanity's Micellar Water battle. Garnier won fair and square, which removed makeup in just three swipes, compared to four other brands that took more than eight swipes. 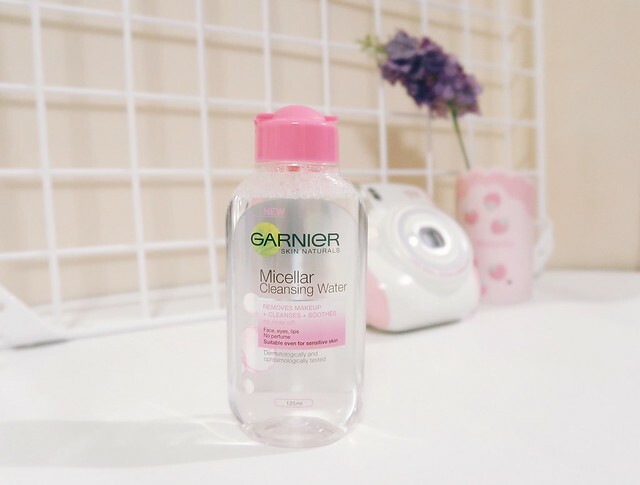 Garnier Micellar Cleansing Water claims to remove makeup, cleanse, and soothe all in one use, all of which I find true. Another thing to like about is Garnier has an option for people who have sensitive skin. Two types of Micellar Water are made available depending on your skin type. One choice is the cleansing water for sensitive skin and the other with the Pure Active formula suitable for normal skin types. Available in Mercury Drug, Robinsons Selections, Watsons, etc. Available in Watsons, SM Megamall, etc. The job of a good toner is to maintain the pH balance of our skin, which will bring out the healthy natural glow of our skin. Toner is especially advisable for oily skin for it will deeply reduce oiliness. (1) Toners have high concentration of alcohol which can harm our delicate skin. Look for toners which are made up of natural ingredients and/or have low alcohol percentage. (2) Be sure to apply only a pea-sized amount onto a cotton pad to prevent damaging your skin. (3) Toners have high oil-reduction quality, so if you have dry skin, make sure to apply moisturizer after. Aaand that is why I chose T.N. 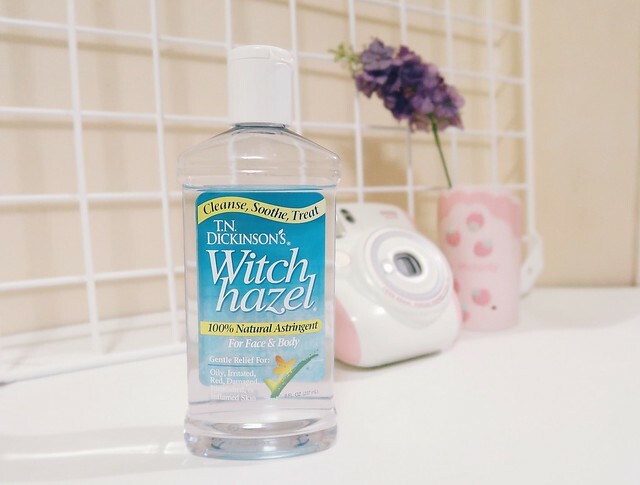 Dickinson's Witch Hazel toner from Healthy Options. It is 100% Natural Astringent that I fully trust. Plus, this is also available in travel size for only PhP 75.00. Available in Healthy Options stores. We're finally here in the most important step - moisturizer + sunscreen. Moisturizer is highly important since it will keep your face hydrated throughout a hot summer day. If you have oily skin, don't fret. You can still put on moisturizer with a matte finish to control shine. As I have attended a few beauty seminars, I have found out that the biggest enemy of our skin is the sun. Daily exposure to sunlight can cause faster skin-ageing and wrinkling. Luckily, we can still combat it by putting on sunscreen everyday and making sure that we limit our time under the sun. 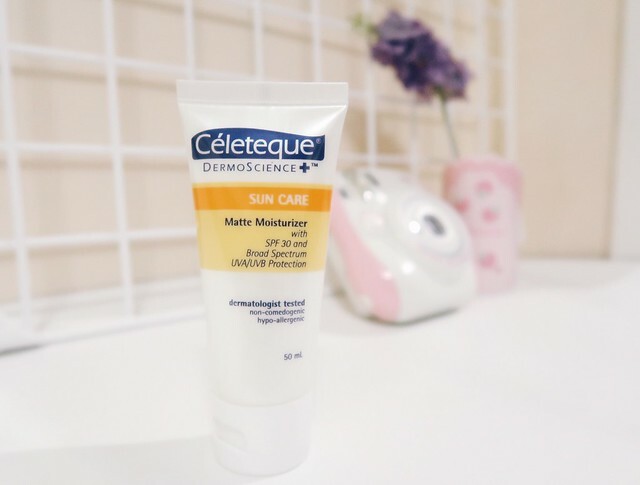 I have recently discovered Celeteque's Sun Care Matte Moisturizer that is a 2-in-1 moisturizer that provides SPF 30 to my skin as well. Compared to the original moisturizer Celeteque has, Sun Care Matte Moisturizer does feel a bit heavier, but both have translucent finishes. What I love most about this is it has a dewy finish, contrary to its matte title. Some people might find it off, but personally I prefer a dewy look over a matte one any day. Available in Watsons stores nationwide. So, this wraps up my summer routine! I hope my simple skincare guide gave you a slight idea on how you can take care of your skin without busting out your savings! How do you take care of your skin during summer? Care to share some tips below? I swear by Celeteque products. You should try their facial cleansers, too! And thanks for the tips. Lagi ako nagsskip ng step 4 kasi iniisip ko nasa loob lang naman ako ng office lagi. Haha! Gusto ko itry yung Garnier Micellar Water kaso di pa ubos L'Oreal ko. After siguro. Hehe. Still in search sa toner na hiyang sa akin. Nagbreakout ako sa nabili kong Celeteque toner. :( I should try Witch Hazel, may travel size naman. 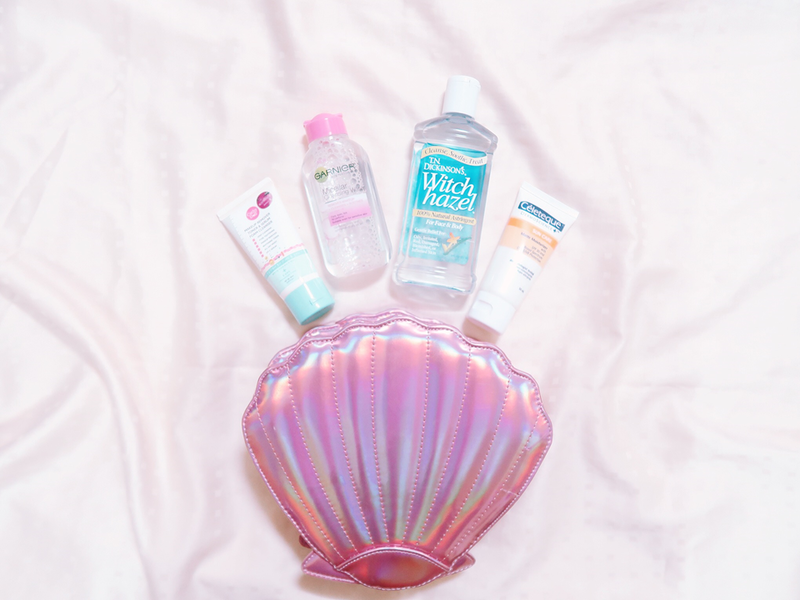 I just started using the micellar water and I agree with you! It's so gentle and so effective for 2 or 3 swipes!